The Wish Upon A Star Duvet Cover Set will bring an enchanting focal point to a bedroom. Featuring a blush pink design with delicate white stripes and gold stars, the duvet is detailed with the iconic phrase ‘Wish upon a Star’. 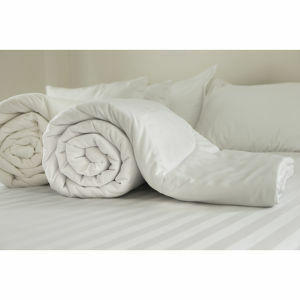 Crafted from easy-care polycotton for softness and durability, the set includes a matching pillowcase(s).